IN TWELVE short years, Ballet Black has made quite a name for itself, winning prestigious awards and forging an enviable link with the Royal Opera House. What it hasn’t done however, is visit Scotland– until now. Sadly, the turnout for the company’s Scottish debut was less than worthy of the talent on stage – but audience relationships don’t happen overnight, and hopefully a return visit will prove more fruitful. 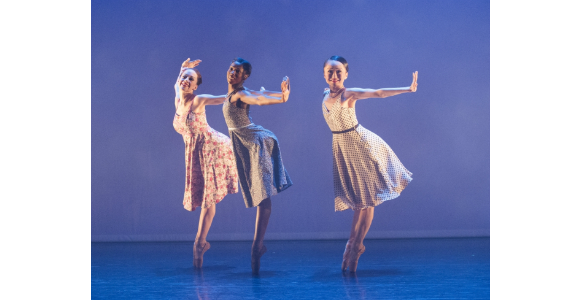 Created to provide opportunities for black and Asian dancers – and role models for students coming through the ranks – Ballet Black is a small but sparky outfit. Three of the eight dancers performed with New York companies before moving to London – and it shows. One of the choreographers on the bill used to dance with Matthew Bourne – and that shows, too. Overall, what you get is strong technique with a dynamic edge, plus the capacity to take on a role and imbue it with meaning. As company introductions go, this quadruple bill said it all: three essentially abstract works (although with no shortage of emotion) and one narrative piece with astute characterisation. Dopamine (You Make My Levels Go Silly) found a young couple high on love, The One Played Twice made good use of Hawaiian barbershop quartet songs, and EGAL was a powerful exploration of equality in couple relationships. Christopher Marney’s War Letters closed the night with a poignant, yet uplifting, look at Second World War soldiers and their brides. Brightness on the dancehall floor, mixed with sadness on the battlefield.